The day began with a new sunrise. We three (I, Priyank and Saumitra) were out for our new and exciting journey to Mysore, the city of palaces and I got a chance to visit another part of India which was untouched by my feet. We took a cab from our guesthouse and started travelling towards Mysore through Bangalore-Mysore highway. The road was ‘as smooth as butter’. But at the same time, it was very strange looking at mountains, people and even the signboards. I think this is the reason why we call our country “Incredible India”. It shows various faces of life when you travel to different parts of the country. A half an hour after, we passed through Srirangapattanam, One of the famous historical places from India but as our target was Mysore so we didn’t stop in Srirangam. While on the way to Mysore, we decided our first spot (The first principle of travelling –‘planning’ was simply ignored by us at that time), but at least we were aware of the tourist places in Mysore so it wasn’t so hard for us to roam in the city, and of course, our driver was there to help us. We first decided to visit Chamundeshwari temple which is situated on Chamunda hill (One of the eight sacred hills of South India). We can go there directly by car or by climbing staircases. Of course we took 1st way and reached the temple within no time. Chamunda temple is 7-8 km away from Mysore city and local government has established a good network of public transport, so you need not worry about the transportation and about the food, there are many hotels up there which serve delicious breakfast as well as lunch. We stood up in line for ‘Darshan’ and after few minutes we came to know that we need to have a ticket for the same. Oh God! Such a great business! Sometimes I wonder instead of doing CA, why can’t I build a temple, I will earn much more than a practicing or working CA. There were two options, 100 Rs. and 30 Rs! As both options were going to give us the same result, we bought a ticket of 30 Rs. and again we stood in the line waiting for our number to come. After half an hour, we got a chance to pray the God for hardly 5 seconds! Those five seconds were the most precious ones. After having breakfast we stopped at Mysore view point and Ahaaa!! After we drove towards the main attraction of Mysore (at least for my two friends), The Grand Mysore palace.!! Oh man! I haven’t seen such a place before. We were feeling excited when we entered the premises of palace and I was excited to take pictures of the palace but my excitement lasted for just 2 minutes as I saw a board saying Cameras are not allowed in the palace. There was a significant number of crowed, many of them were foreigners who came from different countries like Japan, China, Germany, U.K., just to see the rich heritage of India. Even if the palace looks so huge, it hardly took us 30 minutes to see the entire palace as many rooms were closed completely or some were having a board on them showing letters ‘under maintenance’. We were surprised to see lift in that palace though It may be installed later. When you enter in the palace, you see many old things which were used by the king or his family. Starting from his clothes to utensils used by him or even gifts received by him from various people. We saw divan-a-aam and divan-a-khaas and stood there for sometimes just to experience the ‘Darbar’. The main thing I like about the palace is, it has been maintained properly. So you won’t find any kind of dirtiness anywhere and every person is follows his given responsibility. We came out of the palace, and then we took some photographs (Camera is allowed only outside the palace). There were two temples inside the palace premises and unfortunately they were closed at that time. Palace management has also arranged Elephant and camel ride inside the palace premises. It was really nice to visit this heritage spot! One more place added to my list!!! 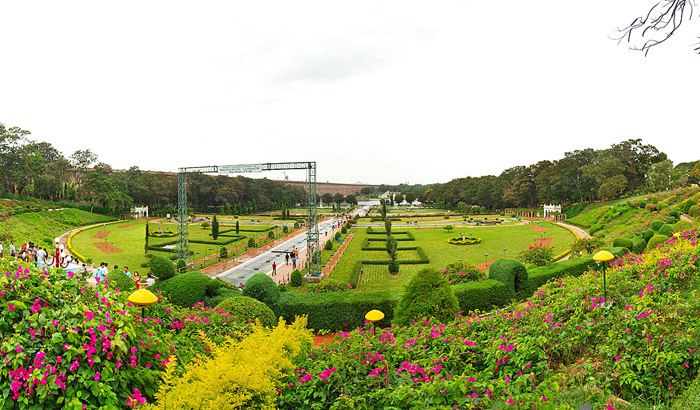 And After The might palace, now we were going to visit, the famous mysuru zoo! Of course my favorite part of the trip due to my love for wildlife, though I don’t like to see animals and birds inside the cage but yes you get an opportunity to see species from outside India. Let me tell you, I have seen many zoos so far, whether in Maharashtra or outside Maharashtra but I have never seen a Zoo maintained like Mysore Zoo!! Just incredible!! The round in zoo is about 3 km and in these three km , you can see maximum number of animals including many bird species from northern parts of India or wild animals from Africa!! If I start explaining every minute details about the zoo then I will have to write a separate blog on it, but for your information, Wild animals like African Chittah, Tigers, lion, leopard, hyenas, sloth bear, jackal, wild elephants, zebras, giraffe and what not!! and of course variety of birds including water birds and few rare species!!! A treat for wildlife lovers and photographers!!! After spending two and half hours, we moved ahead to Karanji lake and nature park to enjoy boating as well as observing butterfly species sucking nectar from the flower!! The lake has been maintained so good that u don’t want to go out from there. But now it was half past five so we decided to move out as we didn’t want to miss the fountain show at Vrindavan gardens. Vrindavan garden is around 25 km distance from mysore and the most crowded place I have seen. We bought tickets and we entered into the garden and were delighted to see the greenery (fortunately of both the types). We roamed around here and there, ate popcorn and waited for the show to begin .The show finally started at around 6.45. It was around a half an hour show in which they played some old as well as new songs and of course the fountain dance. We left garden by around 7.30 after enjoying the scenic beauty and started our journey back to the Bangalore. It was a great journey with these two friends, a new heritage place added in my list and of course a break from a regular routine work!! What else do we want from our life? !